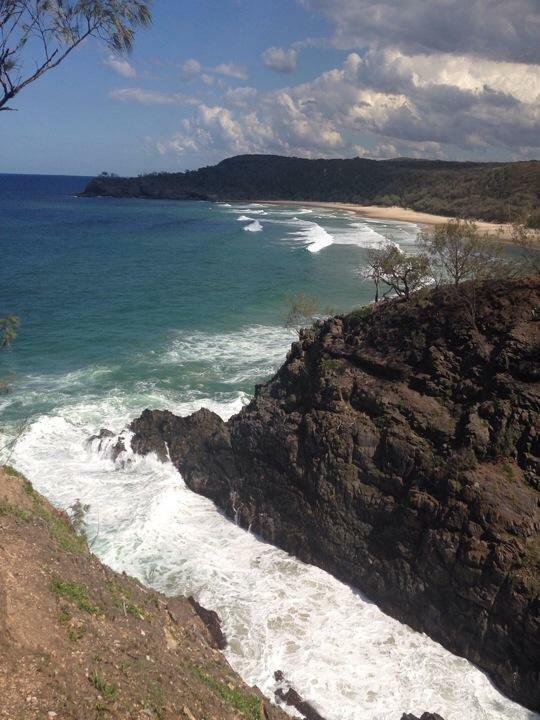 Blog from Noosa, Queensland | Hello World! We arrived on Wednesday to Noosa and this time all the buses went according to plan! Free shuttle bus to the hostel, awesome. Already liked the place. Our hostel is really nice, but severely pink. Spent the evening chilling with the other people in our dorm, eating spaghetti hoops a la toast and drinking wine. We had heard great things about the walks in Noosa national park so this morning we set off on the costal walking trail. Really beautiful coastline, clear water and lovely sunshine. What could be better?! However, doing the walk in flip flops probably wasn't my finest idea. This evening we went to the local surf club which had a band playing. I went expecting a group of local kids but it turned out to be an apparently well known band called 'cloud control' who were really good! Bit weird though as they started playing at 5:30pm which was insanely early and so they'd finished by 6:30pm! Everyone was leaving the bar by 7:30pm. Very weird they obviously have very early bedtimes over here.